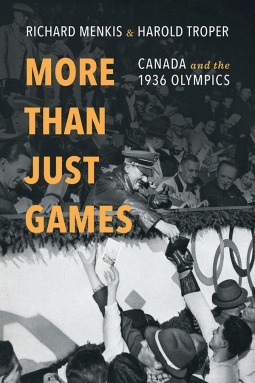 Rarely has a book worked me up as much as More Than Just Games: Canada and the 1936 Olympics by professors Richard Menkis (University of British Columbia) and Harold Troper (University of Toronto). More Than Just Games was published by U of T Press in the spring. I got my copy from Menkis, who, biases known, I consider a friend. Even so, it took me months to open. The cover image is of members of Canada’s 1936 Olympic team vying for Adolf Hitler’s autograph. Other than some high-quality archival images grouped in the centre of the book, the text is academic, looking almost as imposing as the topic itself. So I was surprised that, when I finally did start reading, I pretty much couldn’t stop. In just over a week, I had read the 230ish-page book, not counting the notes, bibliography and index. That the scholarship of academics with the credentials of Menkis and Troper would be impeccable I had no doubt. What I hadn’t anticipated was the immediacy they could evoke with their writing. The amount of detail they provide, though on rare occasion overwhelming, serves to bring readers into the period leading up to Canada’s decision to send athletes to the Olympic Games in Berlin in 1936, when there could be no doubt as to the Nazis’ actions and intentions. Through ample use of citations from letters, articles and speeches of the pro- and anti-Olympic forces, readers witness almost firsthand the debates that took place prior to the Games, they get a glimpse of the almost dizzying number of internal conflicts within the boycott movement, and they get an idea of the amount of propaganda that was being disseminated by Germany in Canada (and other countries). They even learn of some of the differences of opinion between the German Olympic Committee and the Nazi party as to the value of hosting the Games, when the event’s ideal – no discrimination on “grounds of race, religion, politics, gender or otherwise” – ran contrary to the Nazis’ belief in the superiority of the Aryan race, and their efforts to annihilate those they considered inferior. There were a few outspoken people who tried to waken Canadians to the reality of the Nazi regime – notably journalist Matthew Halton and Rabbi Maurice Eisendrath – but their voices couldn’t rise above the Games’ advocates nor break through the apathy of most of the population. Canada, we are reminded, had closed the doors to Jewish immigration in 1923 – “In distinguishing Jews from non-Jews of the same citizenship, Canada predated Nazi regulations denying Jews and non-Jews equal status under the law by more than 10 years,” write Menkis and Troper. This is one of the principal reminders of this book, which came out of an exhibit that the professors put together at the behest of the Vancouver Holocaust Education Centre, and which opened several months before the 2010 Winter Olympics were held in the city. Canada might have become a model of multiculturalism, but it was not always so. Another reminder that stands out is that it doesn’t necessarily take evil people for bad things to happen. Many of the supporters – including athletes – of sending Canadians to the 1936 Games sincerely believed in their position on the importance of sport above all, and seem to have been genuinely confused as to why anyone would disagree. Canada’s position was that of a good colony, following the lead of Britain, which saw no reason not to send competitors. It’s not even obvious in hindsight as to whether Canada’s absence at those Games would have made a difference to the Nazis’ progression of violence to war, to genocide. Sensibly, Menkis and Troper don’t try to examine the issues with the benefit of hindsight. They present numerous viewpoints and historical facts, mostly without judgment. Their opinions, however, pop out here and there via their choice of adjective or use of sarcasm. I found this comforting because they generally reflected my mood at those points in the book. I would be getting all worked up about what was being said at the time and their jibe would make me smile, and not feel like the crazy one. 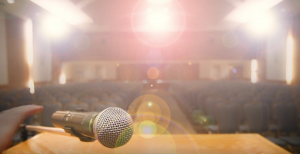 Because that’s what it felt like reading about it – I can only imagine how people like Halton and Eisendrath felt, actually being there, trying to fight against such ignorance, selfishness, pettiness, narrow-mindedness, greed and indifference. More Than Just Games is an important contribution to Canadian history, and it is not only a must-read but a very good read.